Native to Mexico and Central America. Grows 1-2 ft. tall, to about 2 ½ ft. wide. Flexible, leafy branchlets clothed in very narrow, ½ - ¾ in. long leaves. Tiny white flowers. Abundant and long blooming period. Can be affected by frost. 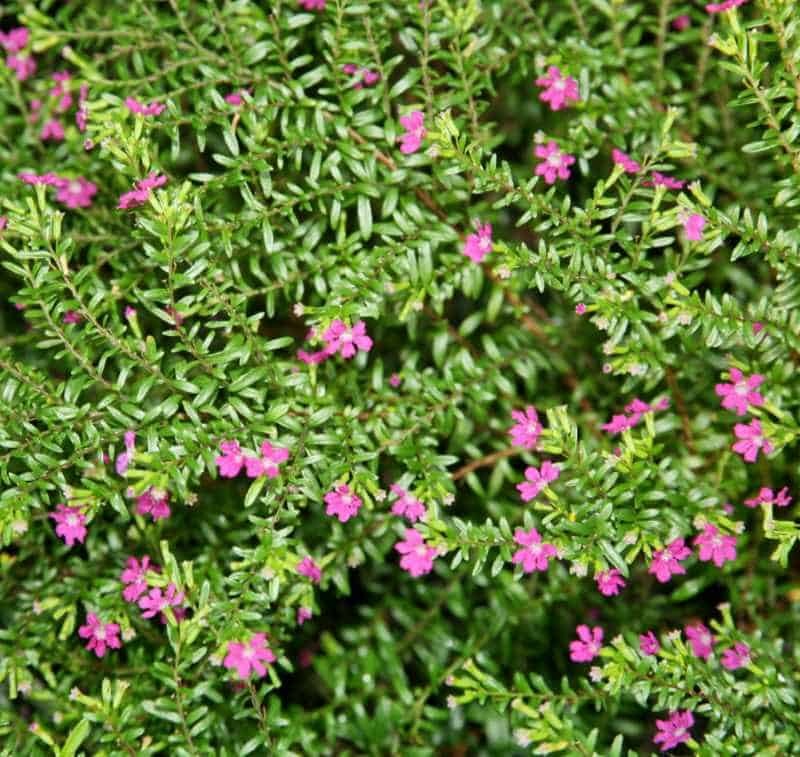 Can be used as a low hedge or shrub, as a ground cover, or in rock gardens.